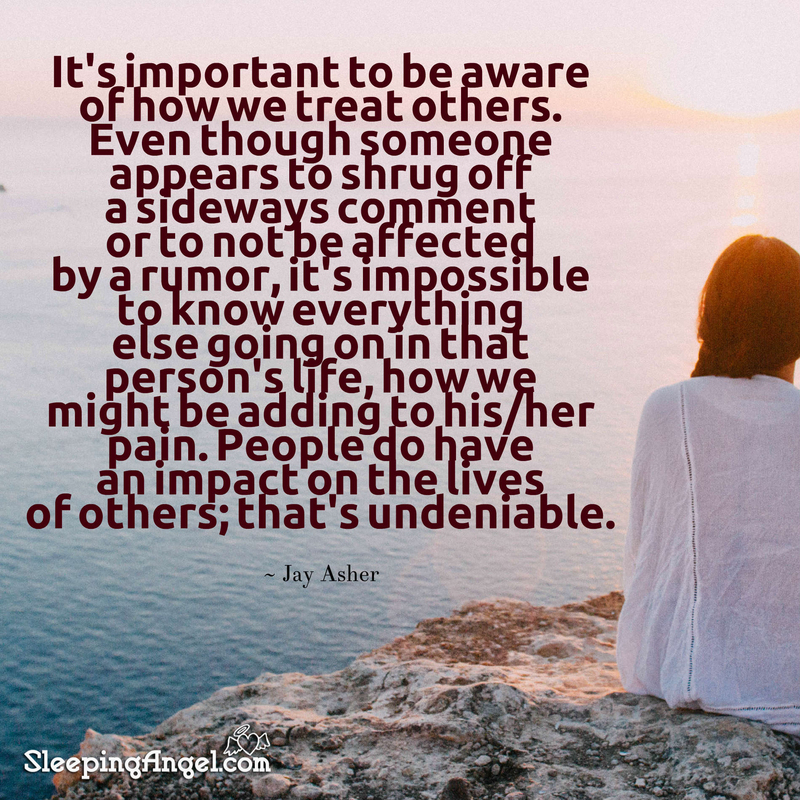 It’s important to be aware of how we treat others. Even though someone appears to shrug off a sideways comment or to not be affected by a rumor, it’s impossible to know everything else going on in that person’s life, how we might be adding to his/her pain. People do have an impact on the lives of others; that’s undeniable.